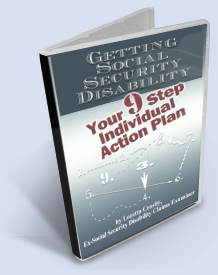 Once you have applied for SSI or Social Security Disability benefits through your local (federal) Social Security office, and have met all their requirements, your application will make its way to your (state) Disability Determination Services (DDS) office (or the Disability Adjudication Services office—depending on the state in which you live). Your local Social Security office is a federal agency while the DDS office is generally a state agency that is funded 100% by federal funds. These state offices are contractual arms of the Social Security Administration and exist to provide disability determinations for applicants who have applied for federal Supplemental Security Income (SSI) or Social Security Disability Insurance (SSDI) benefits programs. Both of these programs have similar guidelines regarding the medical and vocational evidence that each requires in order to establish the existence of a severe disability / impairment in an applicant, and both programs provide monetary and medical benefits for those who qualify for benefits, although the details of when medical benefits and what type of medical benefits are granted will be different, as will the amount of monetary compensation granted to recipients. The easiest way to think of the difference between the SSI program and the SSDI program is to think of one (SSI) as a “needs-based” program that grants benefits solely on an applicant’s disability, without regard or consideration for the requirement to have paid enough insurance premiums into the SS system, while the other (SSDI) is an insurance based program where benefits are granted based on the applicant’s disability, with the amount of monthly compensation based on how much s/he has paid in premiums into the system. So the actual standard of disability is the same. While your local Social Security office--commonly referred to as the field office-- determines the exact financial remuneration that will be granted to you if you are determined to be disabled, the state DDS office is charged with making the determination as to whether a claimant is or is not disabled based on the medical and vocational evidence presented. Once your claim is received by the DDS office, it is assigned to a disability claims examiner whose role will be essentially to coordinate the receipt and gathering of all records which will be needed for review prior to issuing a decision on the claim. In most cases, the actual decision on the determination of disability is made through the collaboration of an on-staff DDS medical consultant (an MD and/or PHD) and the disability examiner. Because the disability examiner is not—in most cases—a medical doctor or psychologist, this ensures (in theory) that your medical condition is afforded the proper weight as it relates to your residual functioning capacity (i.e. what you can still do or not do given your medical or psychological impairments). Examiners use a five step sequential evaluation process to determine if you are disabled and eligible to receive benefits. What that means is that the answer to each question will determine whether or not your claim is denied at that level or can be advanced to the next level for further development. Following are the five questions that must be answered in sequence, together with a few observations as to how they effect the final decision. Are you engaging in SGA (Substantial Gainful Activity)? This question is asking whether you are earning a certain amount of income per month based on work that you might still be able to do despite your impairment. This amount changes every year as the cost of living rises, but basically if you are earning over $860 per month in income, you will not qualify to receive social security disability benefits or SSI, even if you have a severely limiting disability. There are some exceptions to this for blind individuals or those engaging in ‘trial work periods’. Usually, if the Social Security field office has done its job properly and you have not just begun work after your disability application, you should pass this step easily and move on to the second step (i.e. if you are working and earning $860 or more per month, your claim should have been denied at the local SS office and never been routed to the DDS office). But if your case makes it through to the DDS office and the disability claims examiner (DE) determines that you are earning more that the maximum allowed amount, then your claim will be routed back to the local field office where they will complete processing it. If you are not engaging in SGA, your claim moves on to step 2 in the disability sequential evaluation process.